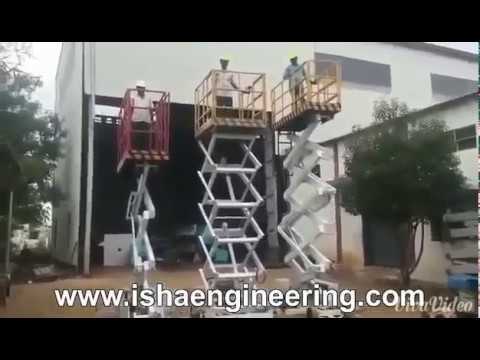 Established in the year 2003, we, Isha Engineering & Co. Have made a mark in the industry as one of the foremost Manufacturers, Supplier and Exporters of engineering products such as Hydraulic Scissor Lifts, Hydraulic Goods Lift and Hydraulic Lift. Under the profound supervision of our mentor Mr. S. Ganesan, we have been growing at a rapid pace and offering products that conform to the established industry standards. Welcome to Isha Engineering Manufacturer & Exporter of Hydraulic Equipments ISO 9001:2008 certified company, Incorporated in 2003, at Coimbatore. Modern & technically sound infrastructure we offer stringent review to ensure quality.Our Precision engineered equipments, Capacious ware house & Specialized R&D wing make us stand apart from also-rans. Our wide range of products include Filter, Shredder, Hydraulic Cylinder, Baling & Bundling Press.We offer Filters & Shredders that are easy to install and operate.Our Hydraulic Presses & Lifts are best in the industry amongst others.Hydraulic Cylinders, Power Packs and Industrial Mountings are extremely reliable.We also provide Iron Scrap Bailing Press that is a class apart.Along with that we offer Baling & Bundling Presses that are sturdy, durable and offer superior performance.